Where do I even start with something as beautiful as this Jo Malone Wood Sage and Sea Salt Perfume. I have wanted to upload my review of this perfume for such a long time, but every single time I sat down to start writing this post I was somewhat at a loss. When it comes to perfume, even though I adore them and wear them within half an inch of their lives, I am absolutely rubbish when it comes to talking about them and letting you guys know what I think about them. But, the more I use this stunning Jo Malone fragrance, the most I wanted to let more people know about it because it really is beautiful. I am sure that by now people are well aware of my love for all things Jo Malone. Their fragrances are simply stunning, and I cannot get enough of their homeware such as candles and reed diffusers. I must spend half of my wage there every single month without fail and that is because the brand as a whole is just out of this world. I went into store a couple months back where I picked up their scent Pomegranate Noir, which has been a firm favourite of mine through the colder winter months, but I wanted something new that is a little lighter for the transitional spring/summer months! After sitting down in store and chatting to a sales associate and trying out some of the different scents, I opted for the popular scent Wood Sage and Sea Salt. From looking into this perfume, a little, it seems like it is a very popular fragrance by the brand. I went for this fragrance because it just seemed so easy and wearable. I am not a huge fan of overly floral perfumes, I think it must be the masculine side of my that likes my perfumes to be quite light, airy and neutral smelling and this perfume hits all of the nails perfectly on the head. I really do think that the name of this perfume really is perfect for the scent. When I spray this perfume, it is nothing but fresh and it is gorgeous. It has deep woody tones running through it, which gives a masculine edge to it, but it isn’t too intense to make it a women’s fragrance. As a matter of fact, my other half has worn this himself when he was running low on after shave and you would never know that it is a feminine fragrance. To start with I only bought the small bottle of this stuff, but after powering through it I went ahead and decided to commit to the 100ml version at around £105! When I wear this perfume, I seem to get so many comments about it and people seem to really love it. I will admit that the Pomegranate Noir perfume that I bought from Jo Malone previously did seem to really divide opinion, I adored it, but other people tended to think that it was a touch overbearing. Whereas everybody seems to adore how fresh and bright this perfume seems to be. And it is always nice when you get a compliment about how you smell, that is why I wore Chanel No5 for so many years! 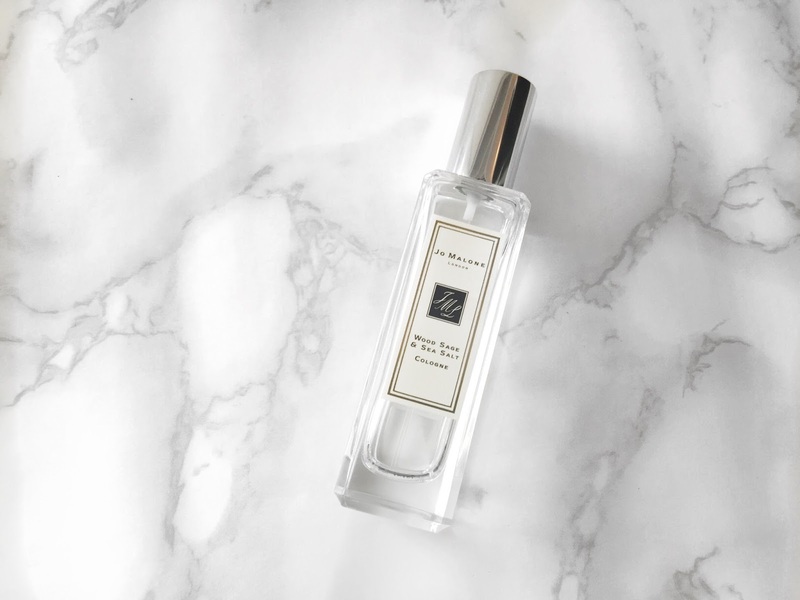 I don’t want to drag this post out for much longer because there really isn’t much more that I can say about this Jo Malone Wood Sage and Sea Salt Perfume. If you are a fan of light and fresh smelling fragrances, then this is the perfect perfume for you. I will leave this linked down below in case you want to check it out for yourself. I really couldn’t recommend this enough and I have told all of my family about it. Plus, I just want to mention very quickly that this mixes incredibly with other perfumes, especially the Jo Malone Peony and Blush Suede!